A new clinical study by Winship Cancer Institute of Emory University seeks to increase the number of women at hereditary risk for breast and ovarian cancer who are seen for genetic counseling services. As part of the study, researchers will use the Breast Cancer Genetics Referral Screening Tool (B-RST™), developed and validated by Cecelia A. Bellcross, PhD, MS, CGC, director of the Emory Genetic Counseling Training Program. The tool has been endorsed by the United States Preventive Services Task Force (USPSTF) as a way to determine whether a woman may need genetic counseling and then possible testing for an inherited mutation in the BRCA1 or BRCA2 genes (BRCA1/2). 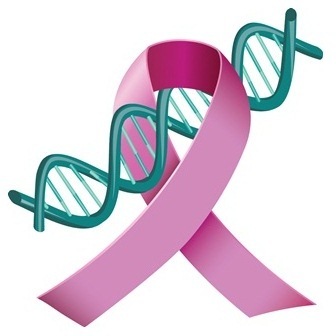 About five to ten percent of women with breast cancer have a mutation in BRCA1/2. About 10 to 15 percent of women with ovarian cancer carry a mutation in one of these genes. Before a blood test for genetic testing is conducted, experts recommend genetic counseling. The Winship study will be piloted in Emory Breast Imaging Centers located throughout metropolitan Atlanta. Women who use B-RST™ and screen positive for being at increased risk to carry a BRCA1/2 mutation will be randomized into three categories for follow up: patient initiated, notification by the physician ordering the mammogram and direct contact by the Winship Genetic Counseling Program. All patients will be given information explaining their results and told where to go to schedule a genetic counseling appointment. Data from this study will be used to determine both the feasibility of using B-RST™ in the setting of mammography, as well as the most effective means of follow-up to ensure that women at increased risk receive cancer genetics services. "We are excited about helping women at risk for hereditary breast and ovarian cancer receive the genetic services they need to provide them access to life-saving screening and risk reduction options," says Bellcross. To learn more about the study please contact: April Hermstad, ahermst@emory.edu or visit the Breast Cancer Genetics Referral Screening Tool (B-RST™) website. Visit Winship Genetic Counseling Program web page for more information. For information about breast cancer treatment at Winship's Glenn Family Breast Center, visit our web page.